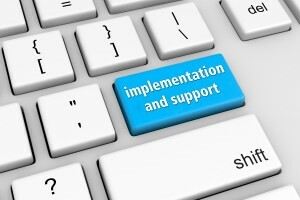 Exact Software and Implementation | TapRoot Consulting Group, LLC. Let’s face it, the reason you are installing an integrated enterprise solution is to do more business and make more money. It doesn’t do much good if it isn’t running at its best. TapRoot has been aligned with Exact Software since 1991 and provides full implementation and support for the Exact Software suite of products. Exact Synergy – We know Synergy! Think of Synergy as playdough. Now think of all the things you can model with playdough. Synergy is exactly the same as playdough in that it can become anything you wish or dream it to become. Synergy is also a great tool to have in your toolkit when it comes to using software for continuous improvement initiatives. Other third party companion solutions such as AvaTax, or Warehouse Management Solutions, etc. Upgrades – The software you are using today may be adequate for your immediate needs, but it may not improve any of your future needs or even be able to further grow your business due to physical limitation of the technology it was originally developed with. An upgrade may be in order to take advantage of the latest features and tools available. TapRoot has been through hundreds of upgrades. Ensuring that your expectations are set is of paramount importance. We will guide you through the upgrade process, making the upgrade as easy as it possibly can be. Customizations -TapRoot employs developers that are capable of tweaking your Exact Software products via the software development kit, in any number of ways. Most businesses have some unique level of requirements they need fulfilled that Exact out of the box may have trouble fulfilling.